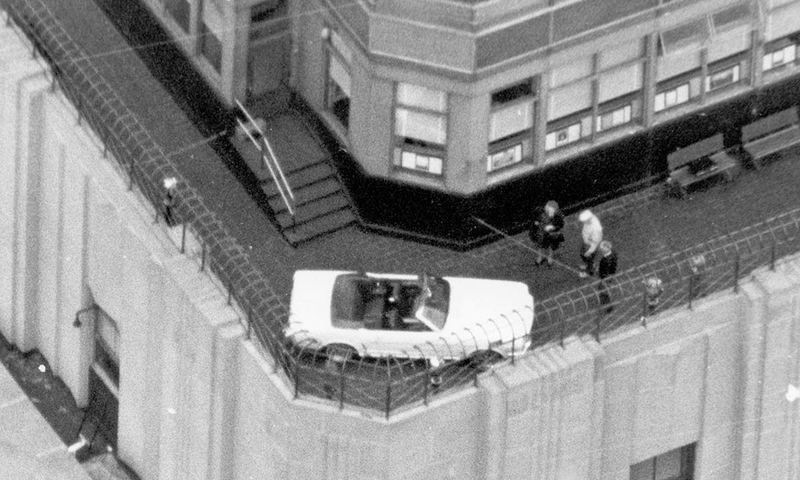 In October 1965, Ford and the management of the Empire State Building in New York collaborated to display a new Mustang convertible on the world's highest observation deck. In 1965, the Ford Mustang was all the rage. Robert Leury, vice president and general manager of the Empire State Building, saw the pony car's spectacular sales and wanted a piece of the frenzy. In the fall of 1965, Leury invited Ford division merchandising manager William Benton to meet and discuss how to pull off a headline-grabbing spectacle. What happened was one of the most outrageous examples of 1960s-era advertising moxie: plant a Mustang on the 86th floor observation deck of the world's tallest building. 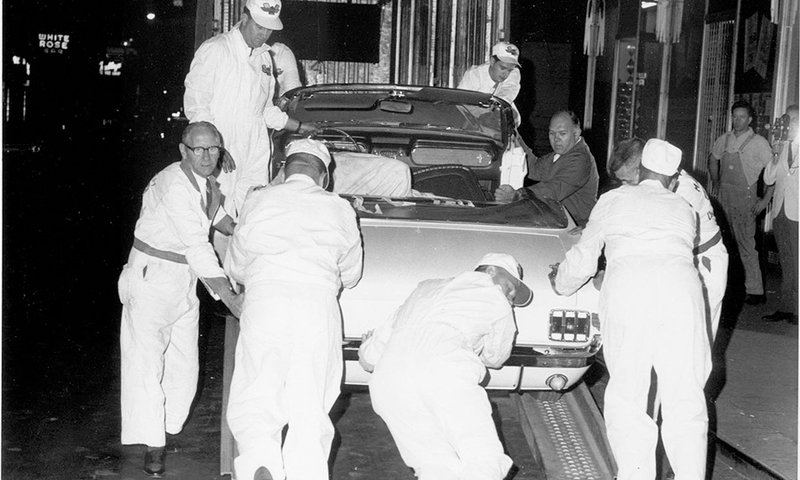 A team of automotive "surgeons" from Ford, dressed in spotless white coveralls, unload a 1966 Ford Mustang convertible on 33rd Street in Manhattan around 10:30 p.m. on Oct. 20, 1965, outside the world's tallest building. 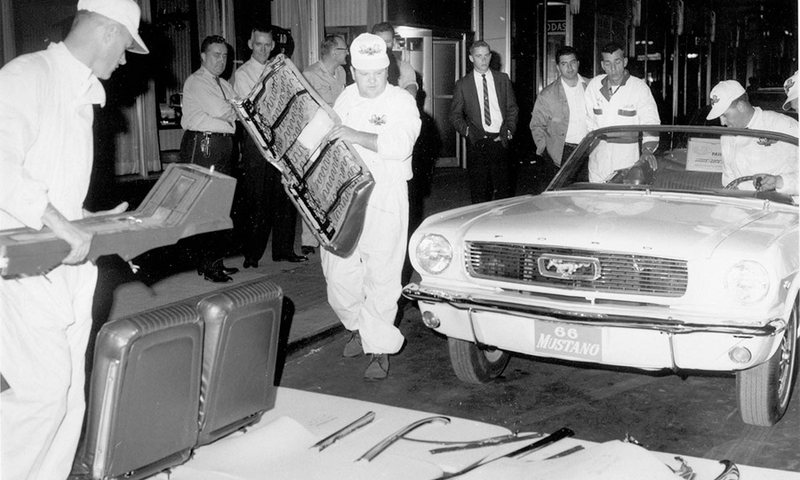 The Mustang's seats, console and smaller parts are removed and placed on sheets of antiseptic-like plastic foam outside the Empire State Building. 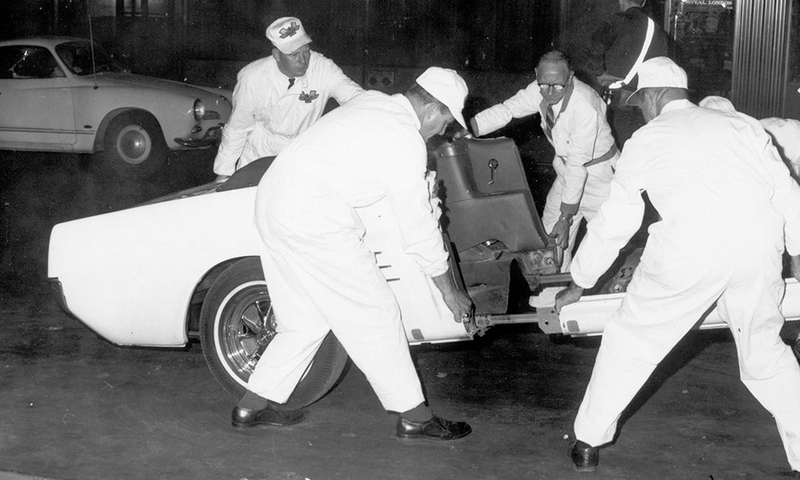 The Mustang is separated into two sections by unfastening clamps and sliding pipe rails apart on both sides of the car. The planning and process of dividing the Mustang into four sections went so smoothly the task was completed in about an hour. 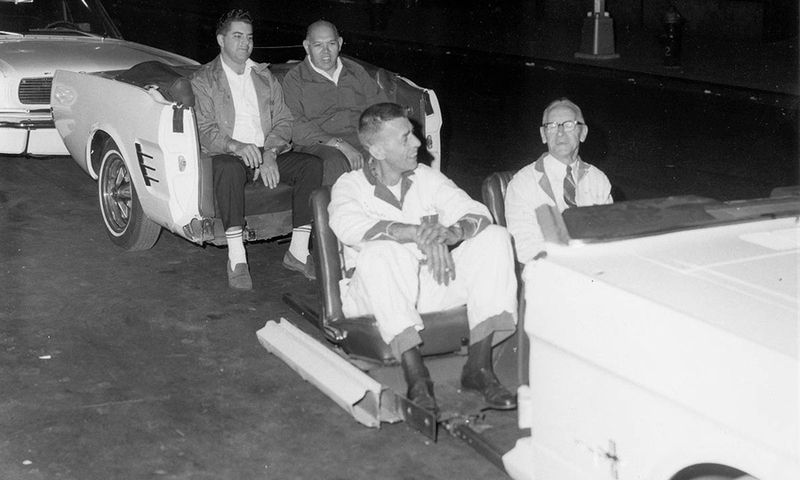 Four crew members relax after completing the first stage of the operation. The front third of the dismembered Mustang was tucked into a waiting elevator and whisked to the 86th floor observation area. 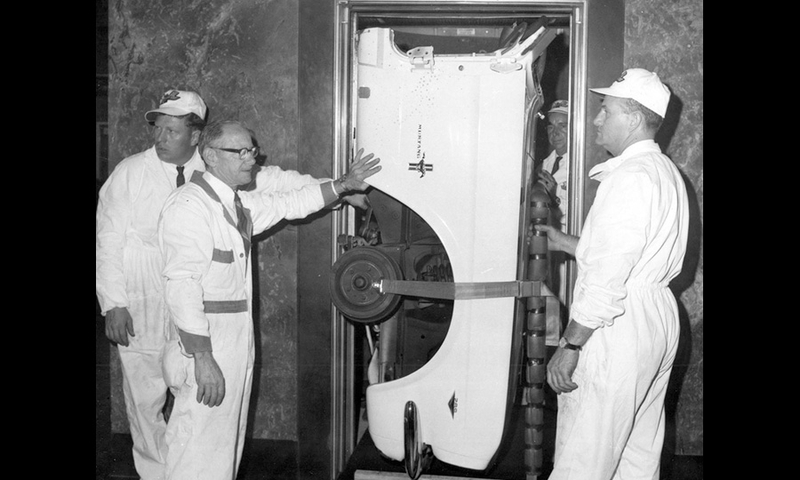 The front and rear sections of the car were wheeled into the lobby of the Empire States Building in rickshaw fashion. 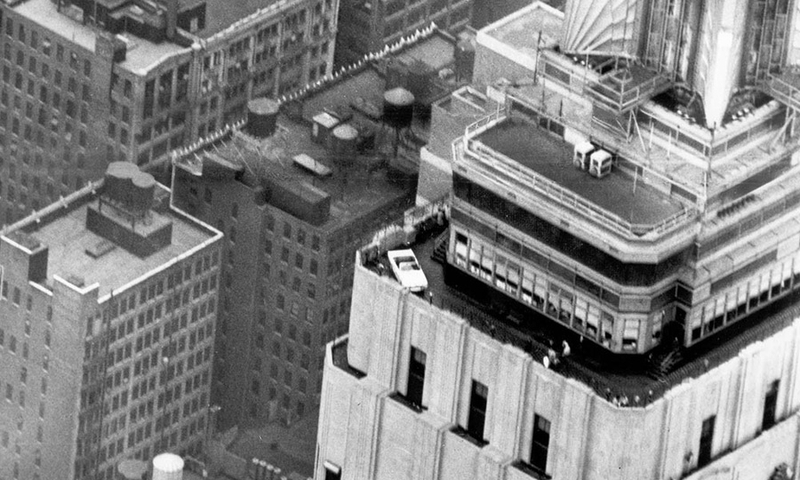 The 1966 Mustang on the observation deck of the Empire State Building in New York in 1965. Ford plans to replicate the stunt with the 2015 Mustang for two days in April.